These sheets and pillows will have you hitting the snooze button. Looking to revamp your bedding? Look no further than these fluffy, silky bamboo options. Aside from feeling incredibly luxurious, bamboo textiles are more sustainable option than cotton and other fabrics. We’ve rounded up the best deals on bamboo bedding below — find deals on high-end sheets and pillows for up to 84% off. You’ve heard of memory foam pillows — but what about bamboo memory foam? 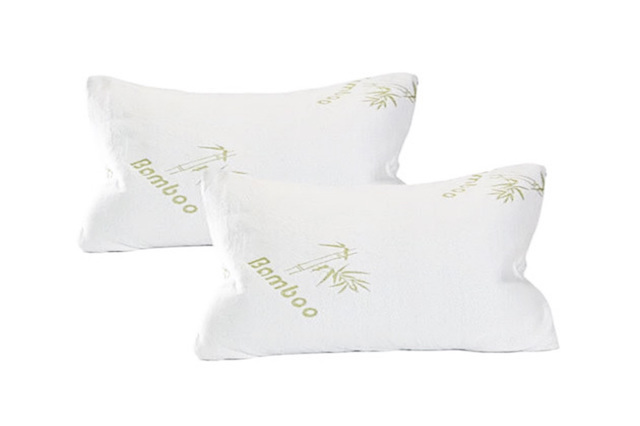 That’s right, these Comfort Bamboo Pillows combine the plush, never-falls-flat density of memory foam with bamboo’s naturally hypoallergenic qualities. Not only do these pillows help reduce tossing and turning associated with poor pillow support, they also help reduce snoring (not that that’s an issue, right?). Buy now: Get the Comfort Bamboo Pillows With Memory Foam: 2-Pack for only $49.99, marked down from $139.95. There’s nothing better than fresh sheets when you cozy up at night. Until now, that is. 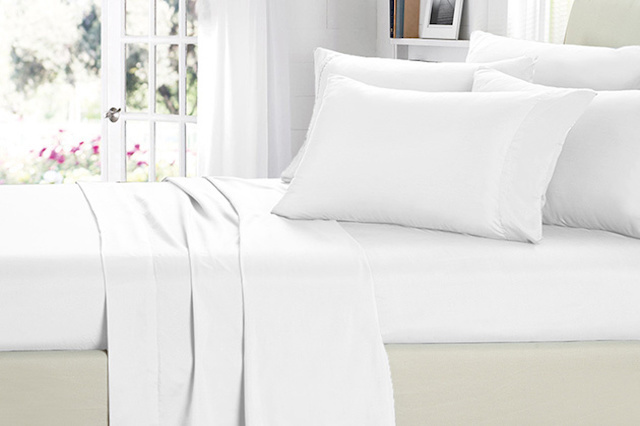 These Bamboo Fiber Double Brushed Sheets give you thousand thread count comfort without the price tag. Designed to stay completely wrinkle-free and soft, you’ll get a good night’s sleep snuggled up in these, guaranteed. Buy now: Get the Bamboo Fiber Double Brushed Sheets: 6-Piece Set for only $39.99 — that’s 84% off its usual retail price of $249.99.